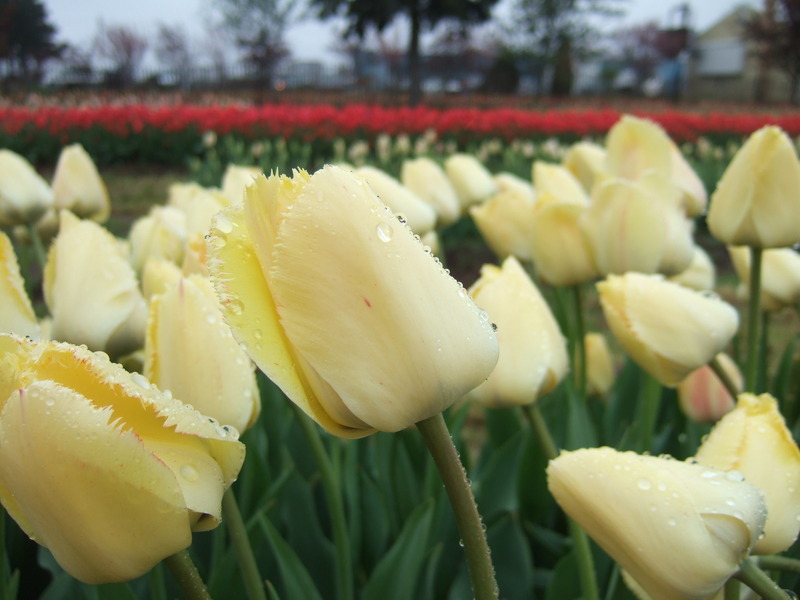 Tulip Time is in full swing here in Holland, Michigan! And in honor of klompen (wooden shoes) and the old country, let’s look at the Dutch this Friday. The Dutch are world leaders when it comes to getting around by bike. Copenhagenize recently published their 2013 index of most bikable cities, and Amsterdam topped the list. Dutch cities on the list: three, including Amsterdam, Utrecht, and Eindhoven. Eindhoven is the home of the amazing floating roundabout recently featured in National Geographic and elsewhere. I was a little surprised to see that Nagoya, my former home, was ranked at #11! Although tons of people ride their bikes for transportation in Nagoya, there’s virtually no dedicated bicycle infrastructure. Pretty cool nonetheless. You’ll notice that there are NO American cities on the list. Zero. Not even the much-hailed Portland made the list – and that is just how far we have to go, my friends. Opportunity is everywhere! It’s more than just bikes, though. The Dutch know how to make their cities LIVABLE. And traffic speed has a lot to do with it. A street with slow-moving car traffic can feel vital because of so much foot traffic. People feel comfortable there, and this article argues that it’s what makes such a busy place feel so cozy. In the 1970s, the people of the Netherlands dramatically changed course with regard to transportation when national fury over the deaths of children in car crashes converged with the oil crisis. They stopped throwing money into large highway projects, and began instead investing in what have become state-of-the-art cycle paths. “Build it and they will come proved true in the Netherlands.” An encouraging look at what can be done over the course of a few decades if the political will is present. This video has some beautiful images of what it is actually like to ride in the Netherlands – little bike-shaped traffic lights and all. Okay, that’s enough videos. Let’s end with a gratuitous tulip pic, shall we?